I’m trying to be consistent by posting this Friday Feature before I leave school on Friday afternoons. Today was an unusual day at school for me and one of our school families. I can’t go into the details but it greatly affected me. So this post is late but still done because sometimes consistency is all you have. Have a blessed day. I've been working with third grade students, cementing the idea that the Underground Railroad is a journey slaves took from the Southern plantations to the North and freedom. I highlighted six great books last week about slave experiences. This week I want you to know about four fantastic biographies. There are biographies that are good for research but I like to see if they make good readalouds. Unless it is someone a teacher points to or someone already talked about in the history books kids don't pick up biographies which is sad because we have some beautiful ones. Oh, unless it is a wrestler, pop star or sports figure, i mean. 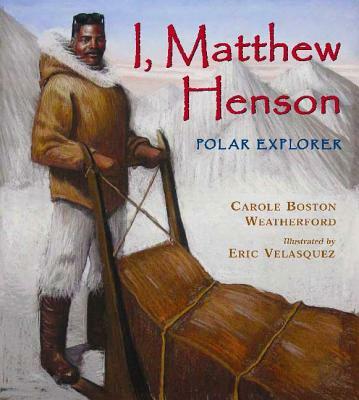 I find Matthew Henson's life story fascinating and when this book came out I was so happy-I thought for sure kids would pick it up just for it's cover. I've read this one aloud several times and once you read it to kids they love the story. Matthew, at just 13, walked himself from D.C. to Baltimore to find a ship he could work on and each page reveals another step he took to become Admiral Peary's right hand man and fellow explorer of Nicaragua, Greenland and eventually the North Pole. Gorgeous illustrations. We are a baseball family. We love the sport and my husband has all his old cards from when he was a kid. Often we are disappointed by players mistakes nowadays-Miguel Cabrera-if your reading this my son is so very disappointed in you. 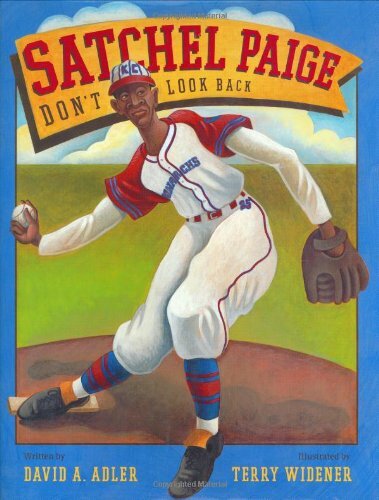 It makes us happy to read stories like this one where Satchel Paige played hard and spoke his mind when confronted with segregation. A true hero, Paige played for the Mobile Tigers, a semiprofessional black team after serving time in reform school for stealing toy rings. He eventually become the first African-American to pitch in a World Series game; the Cleveland Indians against the Boston Braves! Also amazing illustrations. 3. Talkin' about Bessie; The Story of Aviator Elizabeth Coleman by Nikki Grimes; illustrated by E.B. Lewis. This book is especially unique because it tells Bessie's story from many different perspectives. Here's the beginning of the "school teacher's" memories: "When it came to knowledge, Bessie was a miser, hoarding facts and figures like gold coins she was saving up to spend on something special." This fictionized account helps to explain how Bessie became the first female licenced pilot of African descent. 4. Stealing Home; Jackie Robinson against the Odds written by Robert Burleigh; illustrated by Mike Wimmer. This book is easy to read outloud with a small amount of text to tell thestolen base story but each page includes a baseball card with added historical information. A sample: "Jackie's mother decided to take her family from rural Georgia to Pasadena, California. All aboard! Things were better for black people in California than in than in the South. But not by that much. The family found it difficult to rent a house. Food was scarce. The children were called insulting names." Reading this to older kids it would be easy to add in these extra bits of critical information. Honorable Mention goes to Visiting Langston by Willie Perdomo for the amazing Bryan Collier's collage-style illustrations and it's easy to read style-told from the point-of-view of a young girl who admires Langston Hughes. Love yourself and your family.